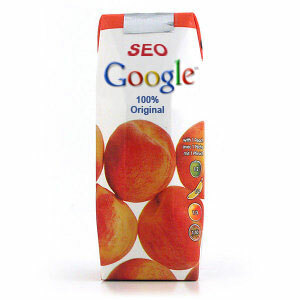 Ahhh, Google Juice. That glorious feeling of doing a Google search for your keywords and turning up on page one. Or better yet, number one page one. Recently, I was asked to give a presentation to a local real estate company on why they need social media. They gave me 20 minutes. I only needed five. First I showed them a quick video I had prepared on Canadian social media statistics, and secondly (and my favorite) I opened a web browser, brought up Google and did a search on my (secondary) keywords. “Nova Scotia social media consultant”. Go ahead… do it. We DOMINATE page one. (insert grin) I told them, “The last thing I do each night is visit Google Analytics to measure the traffic to my site, clear my cache (to get a true reading) and perform (yet another) search for my keywords.” It’s true. My routine. The LAST thing I do each night. One particularly outspoken (and fun) guy in the group said, “Get a life”. *Note: my primary keywords are “Nova Scotia virtual tours“. We’re ranking well with these too. I bet I’m not alone. It’s said that the driving force behind the success of Facebook is vanity. I completely relate. And there is something COMPLETELY satisfying about “the feeling” of being in “control” of your Google ranking. • Second, you will notice a lot of links to my various social media profiles. Twitter – Nancy Bain LinkedIn – Nancy Bain, Activerain – Nancy Bain , and my favorite, Facebook – Nova Scotia Virtual Tours Each of my social media accounts are optimized for my keywords. Yours should be too. • And finally – I employ a little SEO. What is SEO? Search engine optimization is the art making small modifications to parts of your website that could have a noticeable impact on your site’s user experience and performance in organic search results. SEO is a quest for increased visibility in search engines via relevant copy, quality links, domain trust, social popularity and search engine connectivity. Join Supernova Studios e-Club to download our SEO Guide and receive our monthly newsletter. Getting (long term) traffic from Google is about KEYWORDS and LINKS. It’s about being relevant enough for a keyword search, and being trusted enough to rank for it. • Read Google Webmaster Guidelines and make sure you comply but do not use “Google Submit Your Site” to submit your site. Google prefers to find a link to your site on a site it already knows. • Setup your Google Places account immediately. Read our blog for instructions. 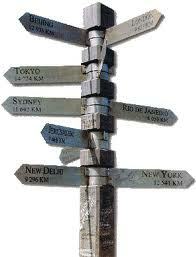 • If you are totally lost, contact us. What is a keyword? And specifically “geo” keywords. When you’re looking for a great pizza in a town you’ll be visiting next week, you do what millions of other people do. You go to Google and type in “Pizza, any town” You ALWAYS include the town/city/location. That’s the “geo” in geo-keywords. Note my keywords “Nova Scotia social media consultant” Someone in Nova Scotia searching for my services would (hopefully) perform a search using my keywords. Or possibly “Nova Scotia social media trainer”. My site is optimized using these keywords. Specific pages http://www.supernovastudios.ca/social-media-consulting-training within my site are optimized for various synomyms of my keywords. What is a “quality inbound link”? Inbound links are links from pages on external sites linking back to your site. Inbound links can bring new users to your site, and when the links are an authority source, they’re also a positive signals to Google about your site’s importance. Create Good Content: Nothing will serve you better when it comes to inbound links, and many other areas of your site, than creating good content. Writing an insightful blog post or creating a useful template or presentation will not only lead people to link to your site, but also drive traffic and build equity in your site and brand. Directories can be a great inbound link source. Focus on local/industry-specific options if available. Vendors/Suppliers These people or groups have a vested interest in helping you succeed. Explain to them that you’re trying to increase your exposure on the web and that this will in turn help them as well. Business Allies Business allies can include any type of business partner that you’ve worked or networked with that isn’t a direct competitor. Sponsorships / Charities / Associations If you serve on a Board, have made a significant contribution to a charity or are a member of an association, these groups are looking for ways to thank you and provide value in return — especially if it doesn’t cost them any money. Sure hope this helps, I’d be interested to hear from you about your results. Changing your page titles to include your Geo-keywords will take 5 minutes. Do it! Measure your traffic today and compare in 2 weeks. You can thank me then. Kingwood based photographer Kristen Plaisance is one of Houston’s most skilled photographers. Plaisance Photography specializes in fun family photography, exciting Senior Photography, amazing Modeling Headshots and portfolios, beautiful Real Estate Photography and Commercial Photography. Plaisance Photography covers all your business photography needs with services that include elevated photography, aerial photography, product photography, digital marketing services, QR codes, real estate photography and commercial photography. Plaisance Photography is the leader in Houston area Virtual Tours. Offering Virtual Tours powered by Real Tour Vision, Inc. the #1 ranking virtual tour software company in the world. Plaisance Photography has worked for large accounts such as KB Homes, Choice Hotels International, For Rent, Best Western as well as mid and small companies. Their family portraits are full of fun and excitement. Weather you need custom designed holiday cards or beautiful photos at the beach Plaisance Photography will capture the true love and personalities of your family. Senior Portraits at Plaisance Photography will be the most amazing experience of your senior year. All on-location photography assures that your Senior photographs will be as individual as you. All of your senior pictures will be digitally enhanced to ensure that you look like a model. Call today to book an appointment or for more information. Tornado Devastation – Will you be prepared? 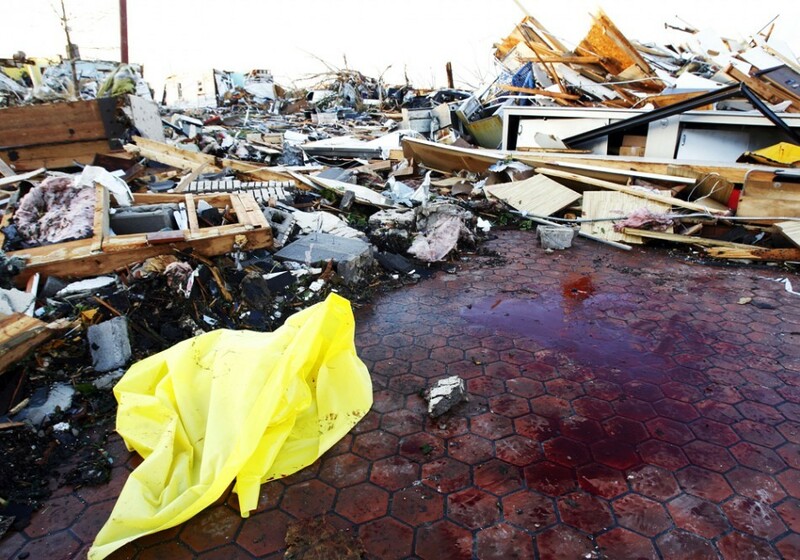 Massive Devastation in Oklahoma due to the tornado that hit Oklahoma and Missouri areas yesterday. Grove Oklahoma-Grand Lake and Joplin, Missouri were hit by a tornado yesterday. 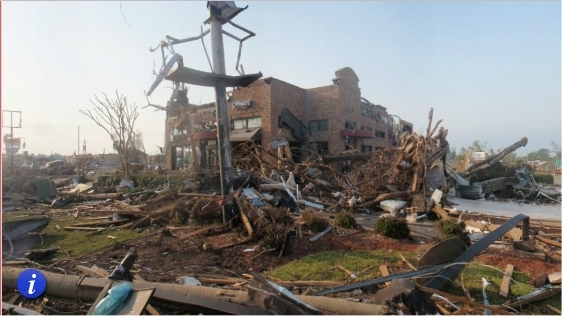 Joplin reported 89 deaths so far, but this could climb as the search for survivors continue on the following days. My husband, his son and myself have a Automotive business about 8.8 miles south of Locust Grove, Oklahoma and we were not affected but it came very close to us. Relatives of my husbands’ family lived in Joplin, Missouri lost their home but their lives were saved. The devastation is overwhelming for them; they just relocated to Joplin, Missouri a few months ago due to job re-location. This young family of 3 will have to start all over with all their house hold belonging, clothing, dishes, and I am sure you could imagine, so the list goes on. The following link shows the pictures, slideshows and videos of the devastation of this massive tornado and the horrible loss that so many people have experienced. Most people are not prepared for such disasters, providing the insurance adjusters with the receipts and photo’s to provide proof of the loss. In most cases not having proof of your items means you will not receive the full value from your valuables from your insurance company. Here at Tulsa Eagle Eye Virtual Tours has a perfect solution for you and your valuables with our Tulsa Eagle Eye Inventory Virtual Tour! Let us photograph, document, and securely store all images of your valuables on a CD and on RTV’s secure virtual tour server facility where they will be a mouse click away, giving you proof of ownership for your Insurance Company to verify. Tulsa Eagle Eye provides 360 virtual tours and we service all the Northeastern Oklahoma. Our wide variety of services include the state of art interactive 360 virtual tours, professional photography services, powerful slideshow presentations along with many other services to provide you with the very best presentation of your property and or belongings. Four Seasons Virtual Tours, creators of Northwest Indiana virtual tours, is pleased to announce three new cutting edge additions to our tours: Full screen HD virtual tours, mobile virtual tours and photo bracketing to bring out color and depth in our pictures. 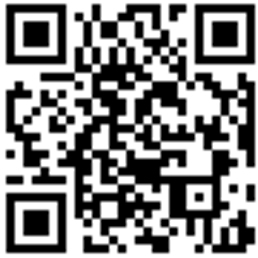 Today all homes, large and small, need virtual tours. According to the National Association of Realtors’ 2009 Survey of Home Buyers and Sellers, 90% of all home buyers begin their search on the internet. With so many homes available right now, most buyers narrow their search by looking at homes with virtual tours first. Whether you are a Northwest Indiana Realtor or homeowner, put your home’s best face on the internet with a Four Seasons Virtual Tour. Four Seasons Virtual Tours has been providing the best virtual tours available in Lake, Porter, LaPorte, Jasper and Newton counties in Northwest Indiana since 2006. We chose Real Tour Vision (RTV) as our partner because they provide the best technology and tour quality in the business. Since that time they have continued to improve their products and services, keeping ahead of their competitors in every area. Contact us soon to book your Northwest Indiana virtual tour and find out more about optimizing your search engine visibility.